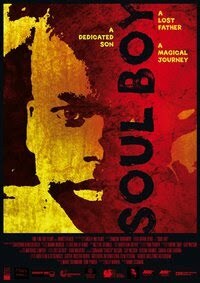 Soul Boy, written by Kenyan author Billy Kahora, evolved from a film workshop initiated by the German association One Fine Day with filmmaker Tom Tykwer. Shortly into the film production, Ghanaian-Kenyan Hawa Essuman undertook directorship with Tykwer as her mentor. The film Soul Boy is the result of this mentorship and collaboration. Following are three two clips: the Soul Boy trailer, a discussion with Hawa Essuman and Tom Tykwer, and an interview with Hawa Essuman at the Göteborg International Film Festival, 2010. SOUL BOY is set in Kibera, one of the largest slums in the African continent, in the middle of Nairobi, Kenya. Kibera is a chaotic slum-city built out of temporary housing and is infamous for its high level of squalor. Children have to grow up quickly here as they learn to fend for themselves. Suspicion and fear still lingers as the Luo and Kikuyu communities recover from the 2007/2008 post election violence which saw neighbour turn on neighbour. Despite all of this the cohesion and the dignity of the people who live here is remarkable. Alongside the day to day tension, the social environment is dominated by a universal solidarity and common desire to maintain a working community. In September 2008 Marie Steinmann and Tom Tykwer teamed up with Ginger and Guy Wilson (from the Nairobi based production company Ginger Ink) to set up a project which would build on the work of their One Fine Day association and the British NGO partnership Anno’s Africa – both of which have specialised in developing creative opportunities for those working in developing countries. Operating within the framework of a manageable budget, the project was intended to develop a film workshop in Nairobi. Led by Tom Tykwer, a small team of professional filmmakers would create a feature film in Kibera by working together with a much larger crew of young local apprentices. 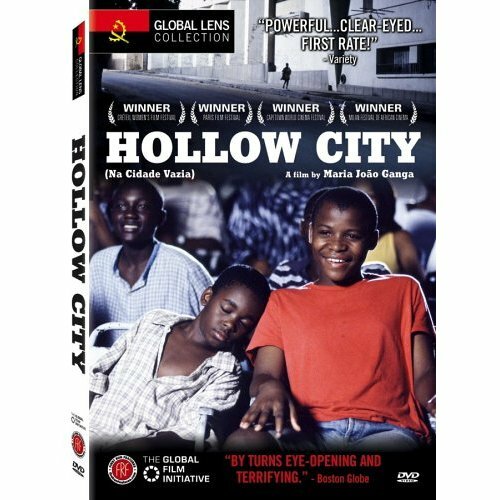 The first goal was to integrate Nairobi’s residents, especially the slum inhabitants, those who were curious and wanted to learn the practical skills offeature film making, so that they could learn technical skills which would create job prospects and leave inspiration in the communities. The project quickly developed its own dynamic energy. The Kenyan author Billy Kahora outlined the idea for a film, which translated the secrets and myths of this multilayered social microcosm into a modern, inspiring fairytale-like story: Soul Boy. 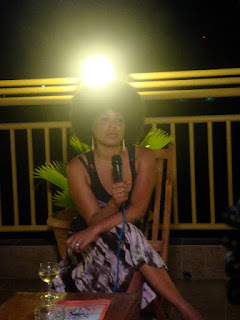 The young Ghanaian-Kenyan filmmaker Hawa Essuman (born in 1980) took over the directing reigns. Soul Boy is her film debut, having worked successfully in local theatre. In the meantime she is developing her second feature film, which is set on the coast of Kenya. Following an intensive period of research in Kibera the screenplay took approximately six weeks to complete. Casting the film was spread out across the whole city: with the support of Anno’s Africa, the production searched for their young lead actors in Kibera’s slums, schools and alleyways. One week of pre-production was all that remained to prepare for the 13-day shoot. Soul Boy was finally shot between 17 November and 1 December 2008. 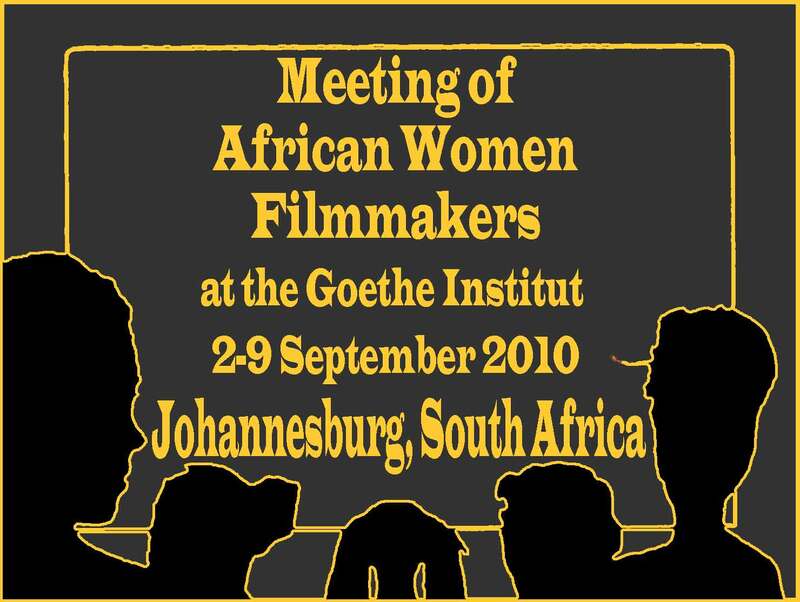 From 1-4 September 2010 two events at the Goethe-Institut will focus on professional women in the African film industry. 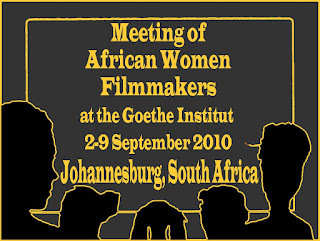 In Arts Work: Meeting of African women filmmakers from 1-3 September 2010 (on invitation only), 25 women filmmakers from sub-Saharan Africa will explore chances and challenges for women in the film world and steps to be taken to strengthen their voices. During an open forum on 4 September, the public is invited to join the discussion at the Goethe-Institut from 10-1pm. The events take part in conjunction with the Women of the Sun Film Festival, the First African Women Film Festival to take place in South Africa. "The film industry is a very challenging sector where women are still underrepresented worldwide," the filmmaker Marie Ka from Senegal wrote. The meeting of the filmmakers marks the beginning of a series of platforms, with the objective to improve the intra-African exchanges and professional situation of women artists and women working in the cultural sector titled "Arts Work". The project is interested in the situation of female artists, their limitations and possibilities, their access to resources, their acknowledgement or lack thereof - in brief: the gendered aspects of making or breaking. For the first women's platform in September, the Goethe-Institut has invited successful filmmakers who contribute actively to change the working patterns in their field and in their country. Their biographies and their experiences, their goals and ideas are the starting point of the two-day meeting, which also represents the beginning of joint activities. Among the speakers e.g. the known Fanta Regina Nacro director and producer, culture scholars and filmmakers Christina von Braun and Beti Ellerson, director of the Center for the Study and Research of African Women in Cinema. The meeting was developed together with the filmmaker and film curator Dorothee Wenner. The audiovisual industries on the African continent are undergoing dramatic changes. The digital revolution has led to the dawn of a new filmmaking era that opens up opportunities for filmmaking in Africa. Increased African audiences for films that are screened on a variety of platforms, mean more filmmakers, including women, will enter the industry in the coming years. What are the perspectives and challenges for women in this traditionally male dominated field? What lessons can be learned from experienced women of the craft? What impact will an increased numbers of women behind the camera and in decision making positions have on films yet to be made? What stories shall be told and how? Will choices of genre and aesthetics be affected? Finally, how are African women filmmakers claiming their space and with what vision? These will be some of the discussion points during the open forum at the Goethe-Institut. This public forum will be following a two day meeting of 25 African women filmmakers and guests with the objective to strengthen the intra-African exchanges and presence of women filmmakers on the continent. In partnership with the Women of the Sun Film Festival, and with so many important voices from the African film industry present, we want to use the occasion to engage in an open discussion about operating as a woman in the film industry. The forum participants come from all over sub-Saharan Africa. The forum will be moderated by the filmmaker and programmer of the Berlinale Dorothee Wenner and film curator June Givanni. Branwen, could you first talk a bit about yourself, your background, how you developed the desire to make films? My name is Branwen Okpako and I was born in Lagos, Nigeria to a Nigerian (Uhrobo) pharmacologist father and a Welsh librarian mother. My younger brother and I had a happy childhood on the beautiful campus of the University of Ibadan. I later attended Atlantic College in Wales where I completed my International Baccalaureate, before going to University of Bristol where I studied politics. After that I came to Berlin to study at the DFFB (German Film and Television Academy), here I met Tsitsi Dangarembga, Wanjiru Kinyanjui and Auma Obama. I have stayed in Berlin where I continue to make films and raise my children. 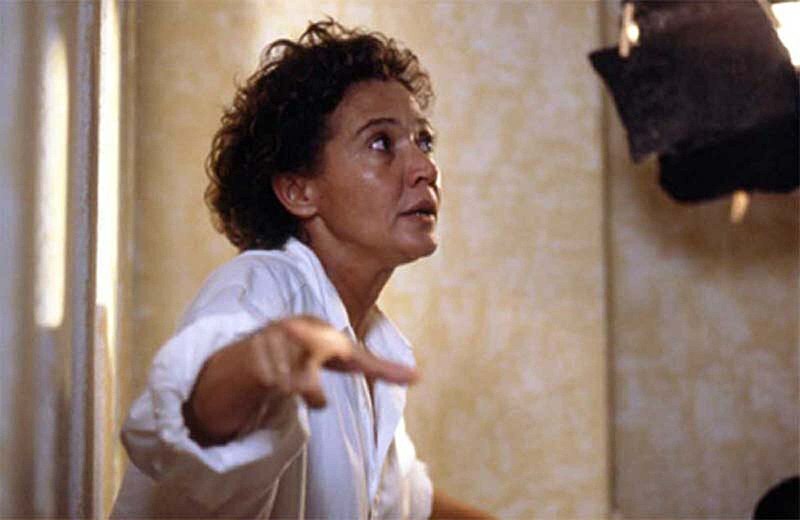 The decision to study film came from a desire to combine all my passions: painting, telling stories and directing actors, all of which I had enjoyed doing since I was very young. Storytelling runs in our family. My father‘s brother Kpeha was a famous poet of Udje. Film seemed to synthesize these loves and has brought an added element that I didn't know about before—montage (which is the poetry of film). You are Afro-Welsh, living and working in Germany. What have been your experiences both on a personal and professional level? My experiences have been the experiences of a Diaspora person settling into a new environment finding her place and defending her ideas, trying to serve a useful function and at the same time educate herself. Last year I had the most rewarding experience of teaching courses at the Humbolt University and the University of Art here in Berlin. With the students, we examined my films and their themes using literature and academic texts. We discussed the medium of film and the way images are used to manipulate perception. Teaching is one of the most fun ways to learn because you get to read and think about things deeply. 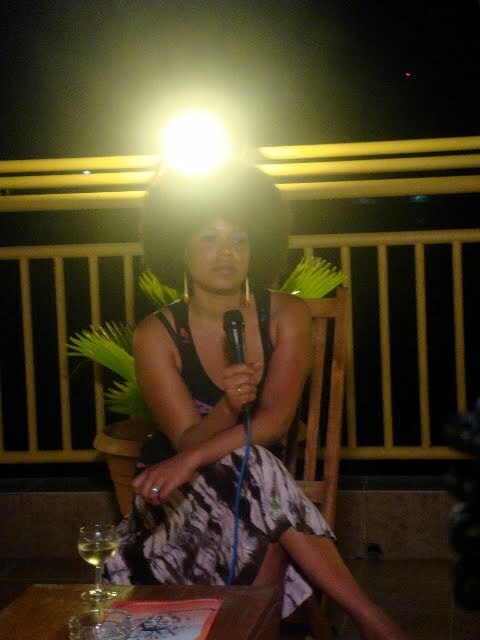 Much of your work has focused on Afro-European identities, a theme that several European women of African descent have addressed in their films. Could you give some reflections on this subject as it relates to your own work and as it relates to the broader issue of how Europe is dealing with its identity in an evolving multicultural, multiethnic continent? And also, there is an increasingly visible Afro-German community and of course, several of your films have focused on Germans of African descent. How do you locate yourself as an Afro-European? I focus on experiences that resonate with me. Filmmaking is hard work and spiritually demanding work too. So for me it is key that I get some new understanding out of it for my own personal growth. I am not making films one to one about my situation. But I know what it means to feel "other", I felt that growing up in Nigeria too, so when I came to Germany and started to get to know the culture and the people, I was fascinated by the culture of the Afro-Germans and how they were working towards building an identity for themselves in an uncharted territory. The courage and resilience was inspirational and I found many universal themes to talk about that resonated with me. Now, I have Afro-German children so my involvement has deepened. I locate myself where I am geographically and spiritually. My films are my witness to life as I see it. It is a great honour to be able to make films so I use every opportunity seriously. It takes so long to gather and order experience and then to translate what one has learned into a piece of work to share with others, it takes years. If my films about Afro-German experiences help to enhance the visibility of Afro-German experiences, that is useful. One of my short films that was shown at the Berlin film festival in 2007 is called Landing it is about a black woman who wakes up in Berlin to find herself invisible. It's a horrible experience being invisible. But nevertheless being visible does not automatically mean being seen. So the process is still ongoing. Your films are very intense and very specific, in the sense that they on a very emotional level, deal with the psychological, social and political gut of the society. How do you choose the topics of your films? Maybe I have answered this question already, but I would just add that the subjects for all the films I have made, including the one I am currently finishing, came to me. I was asked to do them sort of by circumstance, by people’s expressed wish sometimes. Certainly with Dreckfresser, a friend came over to my house with a newspaper article and said " you need to make a film about this brother", so from a sense of obligation, from a feeling that not just I want to know more about what is happening but others do too. And I just start from that impulse. Do you continue to work in Britain and connect with the British culture in terms of your work? Wales is my ancestral home as is Nigeria but I never lived in Wales as an adult, the two years spent there were in boarding school. But I got my first commission from Britain while I was still in film school. It was a short for Channel Four about my Welsh roots. The film, Searching for Taid, is available to watch on the British Film Institute website. That is the beginning of my journey as a filmmaker. My brother is the protagonist and the film is really lovely and people get something out of it. Since then I have not had the chance to make another film in Wales but I have a story. If it wants to be made it will come and get me. Do you have contacts, connections with Nigeria? Have you had film projects that you would like to do in Nigeria? My parents are there as I said, so I visit with my children whenever I can afford it. I have also made a film there in 2007 called "The Pilot and the Passenger" it is yet to be fully completed (it is self funded) because my current project (a commission) interrupted it, but I will be finishing it soon. It is about the poet Christopher Okigbo. Some reflections on future projects, interests? For the past two years I have been shooting a highly demanding documentary in Kenya, Germany, Britain and the USA it is nearly finished so I hope to share it with people soon. My interests are painting and teaching, as well. Wanjiru Kairu is a filmmaker based in Kenya. Her primary goal is to create films that promote social dialogue. Her film "Weakness" was the official selection at: Kenya International Film Festival 2009, Amakula International film Festival 2009, Umoja Film Festival 2010, Pan African Film Festival 2010 and New York African Film Festival 2010.